Todd’s Marietta Tree Services is your affordable tree service and emergency tree removal in Marietta Ga, Cobb county and Northwest Atlanta. 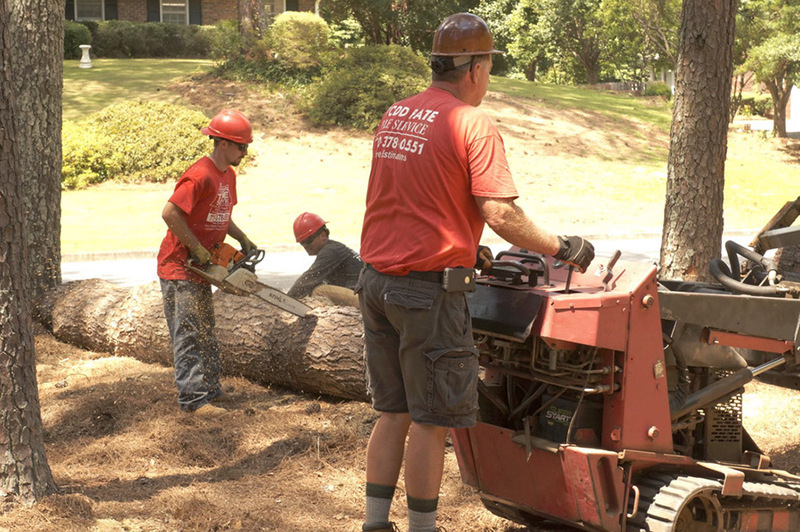 We have provided quality tree removal, tree cutting and trimming services at a reasonable price to our Marietta community. Too much or not enough of this can kill your tree. The fallen leaves and needles we rake or blow away from trees are their way of naturally protecting their roots, thus, we mulch. Tree roots depend on moist nutrient-rich soil year-round for continued growth and increased health. Every fall, your trees should be mulched appropriately to ensure their winter survival and spring prosperity. toddsmariettatreeservices.com presents the definition, importance, and proper application of mulch for increased tree health and longevity, as well as providing answers to frequently asked questions. Mulching is the process of applying a layer of protective soil covering around trees, shrubs, and plants. 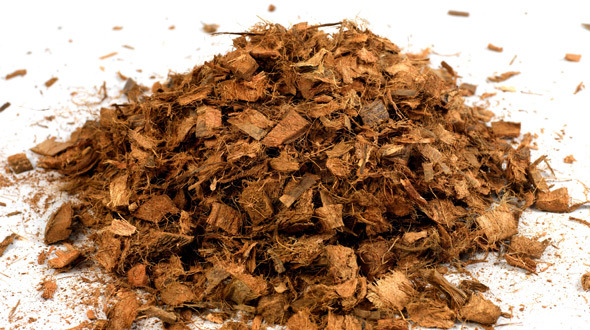 Mulch is typically composed of organic material such as bark chips, straw, or pine needles. 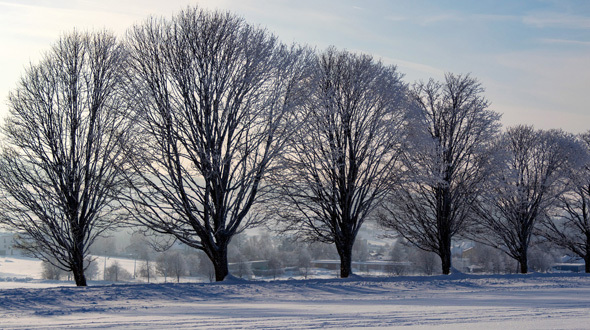 • insulates the soil from hot and freezing temperatures. • improves soil fertility and health as it decomposes. • helps prevent soil erosion. • enhances the visual appeal of the landscape. • prevents lawnmower damage to the root flare and trunk. Of all the above benefits, perhaps the most significant is that mulch helps regulate soil temperature and moisture during extended periods of extreme heat or cold. The following mulching instructions can be applied to trees of all ages and sizes. Create a “no mulch zone” extending 8 to 12 inches from the root flare all the way around the tree. Collect a soil sample and test it for its pH level and nutrient content. Provide a deep watering to the area that will be mulched. Apply a 3 to 4-inch layer (up to 6 inches for areas with extended freezing temperatures) of mulch from the “no mulch zone” to the tree’s dripline. Ensure that the mulch is not in contact with the tree’s trunk or root flare. Adjust the pH level or enrich the soil by applying granular fertilizer to the mulch. No need to mix it in, regular watering and rain will carry it to the soil. The ideal time to mulch a tree is immediately after planting it. Established trees can be mulched in the fall. Each fall thereafter, fluff the mulch and add more when necessary. 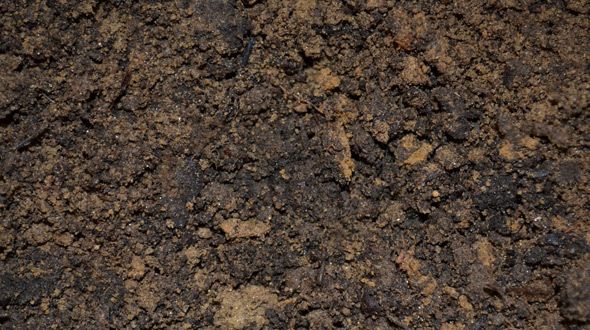 Note: Compacted mulch will lose its ability to regulate soil moisture and temperature. When this occurs, use a rake to fluff the mulch or replace it. Question: Can mulch kill a tree? Answer: Yes. If the mulch is resting against the tree trunk or root flare, it can cause this area to decay, leading to the destabilization and death of the tree. Question: Do you have to remove old mulch before applying new mulch? Answer: Yes. If the mulch is riddled with fungi, bacteria, or you have detected an easily transmitted disease such as anthracnose, this mulch should be disposed of with care. Answer: No. If there are no signs of disease and the intention is to refresh or fluff the mulch. Question: Do I need to mulch every year? Answer: If you are using mulch composed of bark, wood chips, or other organic material, annually revitalizing or refreshing the mulch is a good standard. Question: What is the best mulch to keep bugs away? Answer: Cedar and cypress mulch are effective at repelling, killing, or inhibiting most insects and some ant species. Question: Is mulching only for deciduous trees? Answer: No. Both evergreen and deciduous trees can be mulched. This is especially true in climates that experience extreme heat in the summer or long periods of freezing temperatures in the winter. Question: Can you put too much mulch around a tree? Answer: Yes. While one of the purposes of mulch is to help the soil retain moisture, too much mulch can retain too much moisture causing the roots to rot, subsequently causing hydraulic failure and death of the tree. Conversely, not enough mulch can allow too much moisture to escape. This may result in “drought-like” conditions or the freezing of the roots depending on the season. Trees naturally mulch themselves to protect their roots when leaves or needles fall to the ground. In a landscape or urban setting, those leaves and needles get removed. You could say that mulching is our way of returning that root protection to the trees. In this article, you discovered the definition, importance, and proper application of mulch. You also uncovered frequently asked mulching questions and their answers. 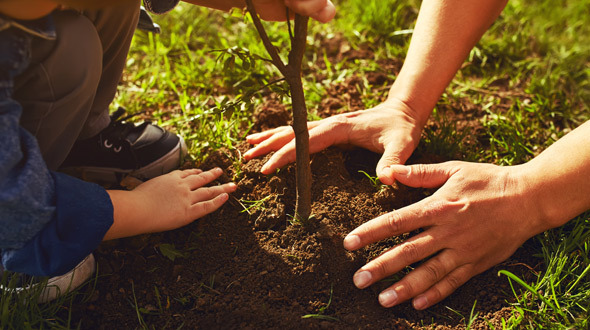 By properly mulching your trees, you are promoting their continued growth and health. Trees that are improperly mulched, or not mulched at all run the risk of declining health, successful attacks from insects and disease, and eventual death.